On March 19, 2019 the world celebrates World Social Work Day. In an effort to create a great awareness of the Social Work Profession as well as to showcase the impact social workers have in promoting relationships among people, the Social Workers Sierra Leone, joins the world in this celebration. This year’s activities center around the International Federation of Social Work theme “Promoting the Importance of Human Relationships” and the National Association of Social Workers’ (NASW) theme “Elevate Social Work” with a goal of promoting the profession of Social Work and creating interests in developing programs for vulnerable populations. Your donation will be used in support of the following activities as needed to meet goals set. 1. Media engagements-include radio and television talk shows promoting the month and the profession in general to highlight social justice issues and to promote social dignity including influencing public policy. 2. Community engagements- within the targeted areas of Freetown and rural districts to promote the understanding of social work and improve human relationships in those communities. 3. 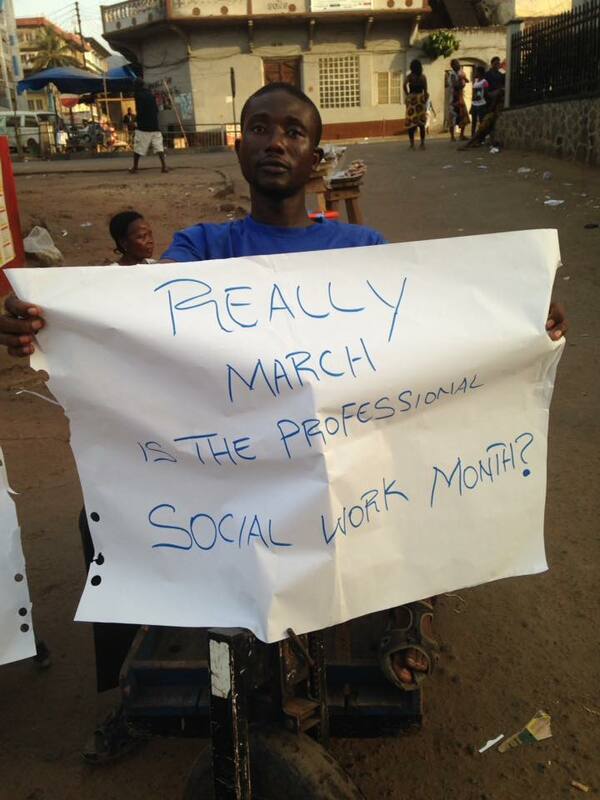 Social Work March- assembly and procession across main city streets aimed at elevating the social work profession. This activity will also generate overall public awareness among government leaders and citizens. 4. Launching of a Social Work Association- there are plans underway to formalize a structured professional social work association that will serve as a governance membership organization of professional social workers that will create and maintain professional standards, and enhance the professional growth and development of its members.